If you received a call today from a recruiter with a lead for your dream job, how quickly could you get an updated resume to them? Do you have a professional portfolio of work samples to visually showcase your skills in an interview? Does your LinkedIn profile include a professional headshot and your current accomplishments? If you want to be ready for career advancement and development, you need to have an updated job search toolkit. And if you need help developing one, this week’s feature article is for you! 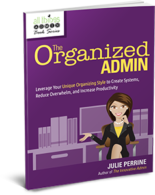 When I wrote The Organized Admin™, I included an entire section on career organization. It’s one of the most important areas for organization because your livelihood depends on it! Yet many admins don’t regularly update these key career elements, or – worse yet – they don’t have them at all. So, this week, our Facebook, Twitter, and LinkedIn pages are focusing on the importance of having a job search toolkit, and how to create and consistently update yours. 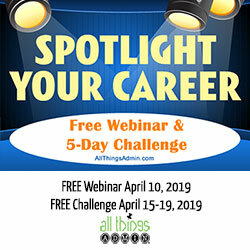 I also encourage you to watch the free webinar I did yesterday, Spotlight Your Career: 3 Strategies for Boosting Your Professional Visibility. (You can get the replay here). Then, join us for our free 5-Day Challenge starting on Monday, April 15. I’ll personally help you create a powerful professional portfolio to showcase your skills and career accomplishments. It’s all free – but you must register no later than Sunday, April 14! After that, it will cost $67 to participate. Don’t leave your career to chance. Put yourself in the driver’s seat, and create your job search toolkit so you’re ready for any opportunity that comes your way! P.S. 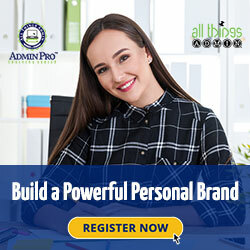 April is Admin Appreciation Month, and we’re celebrating by sharing plenty of free webinars, special resources, and other promotions! 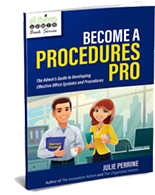 Click here for a full list of admin offerings.